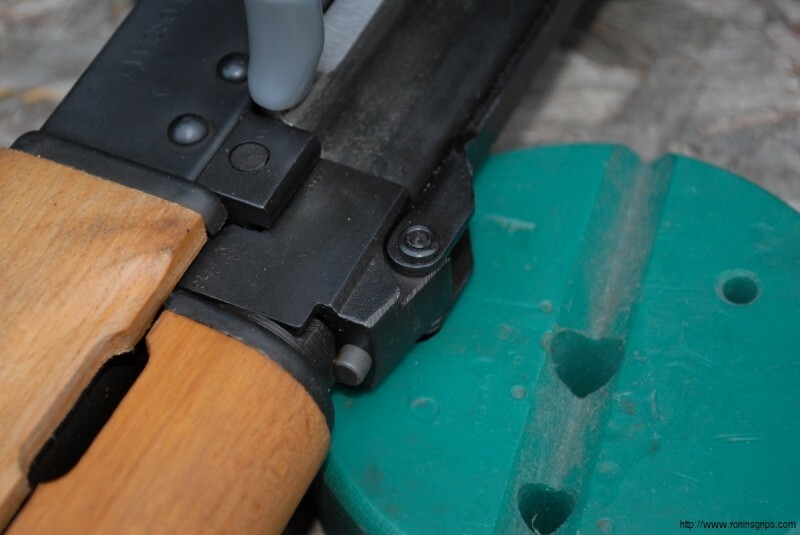 Years ago, I bought a barreled M92 kit from AK-Builder.com and assembled it. I then installed a Stormwerkz rail and a Primary Arms M4-style red dot and the dust cover being attached to the rear sight block really got annoying fast. After some careful examination, I figured out a quick release pin with a ball bearing detent to hold it in place would really make things easier. It worked great and I have been selling the pins like crazy for almost two years. I made a mistake though – I didn’t take step by step photos about how to do the installation and people keep asking for a how-to guide. 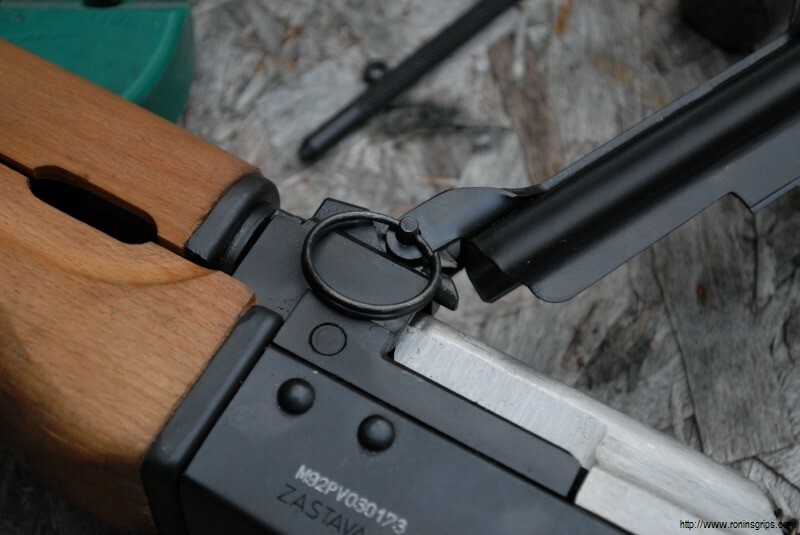 Thus, I recently bought a Yugo M92 PAP pistol imported by Century Arms from my good friend Scott Igert, who owns Modern Antique Firearms in Benton Harbor, MI, so that I could do some step by step how-to instructions with a lot of photos for folks. 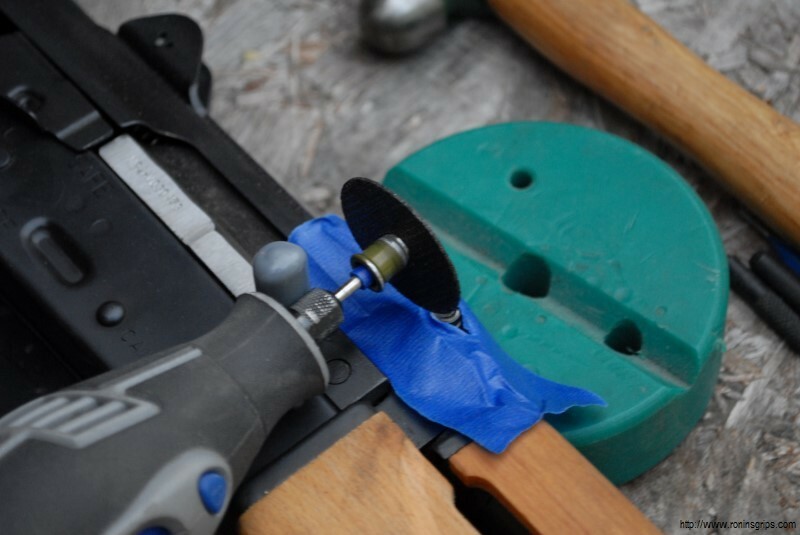 The work will be done with a Dremel tool with a cut off wheel, a few small punches, hammer and a rubber gunsmith block. 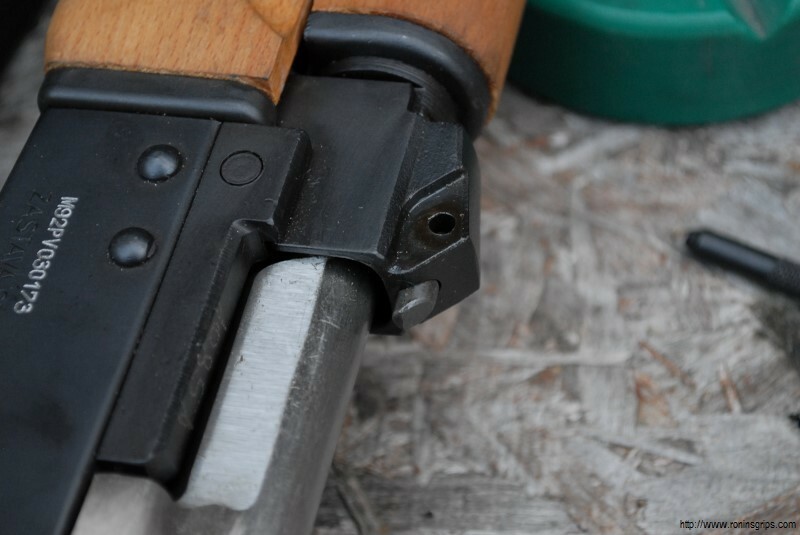 SAFETY STEP – MAKE SURE THE WEAPON IS UNLOADED. NEVER ASSUME THAT IT IS – VERIFY IT IS UNLOADED BEFORE YOU BEGIN WORK. 1. 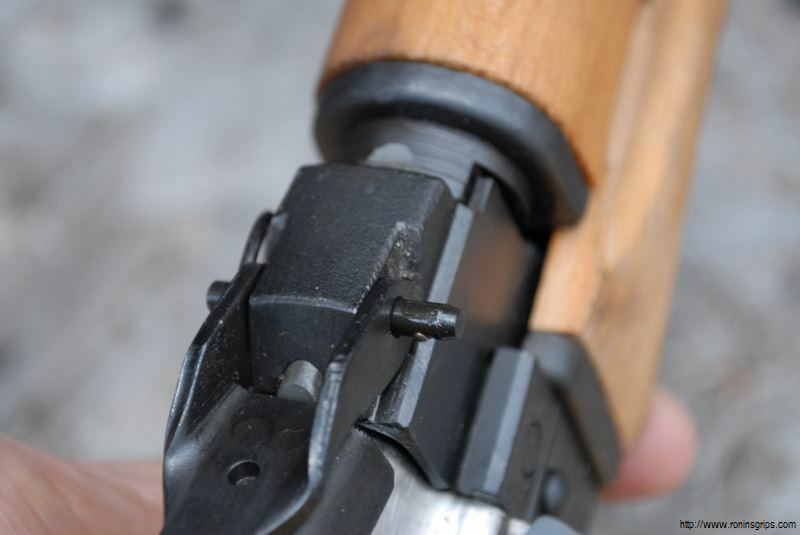 Look at the hinge pin/rivet. 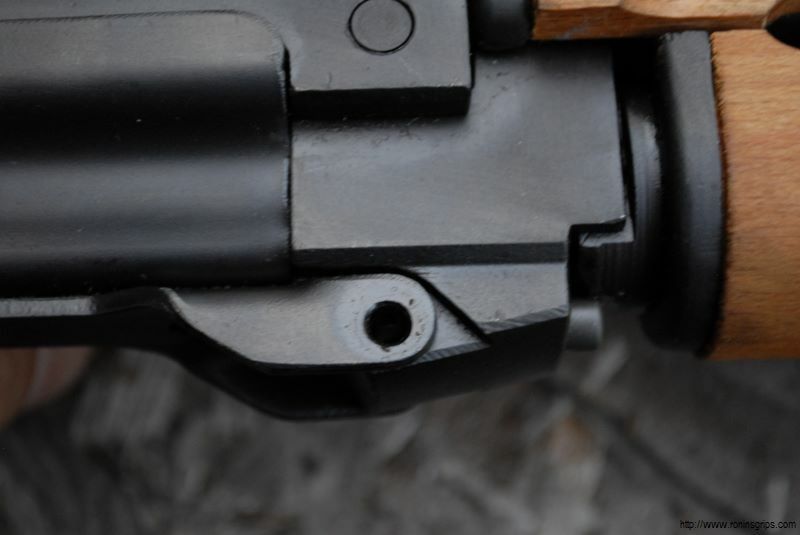 On the side opposite the charging handle, you will see a big rivet head. On the right side, you will see an odd looking head it is actually the rivet just slightly peened over into a concave washer. It is that side that we will grind the peened over portion off with our Dremel. By the way, it is really a pin but it has one end peened over like a rivet. 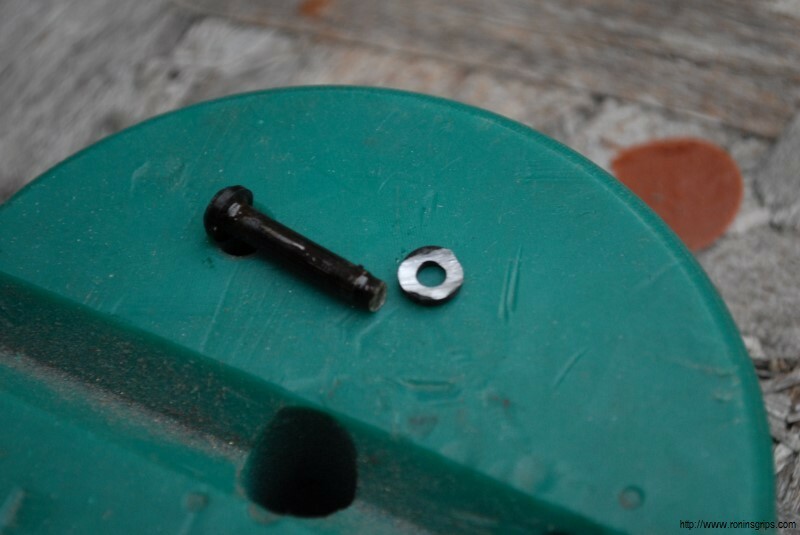 A rivet would swell into the hole and lock everything up – a pin does not. 2. If you don’t use a Dremel tool, take a few minutes and do some practice cutting with a cut off wheel. It has a tendency to scoot around and you need to get a feel for it so you can control it. 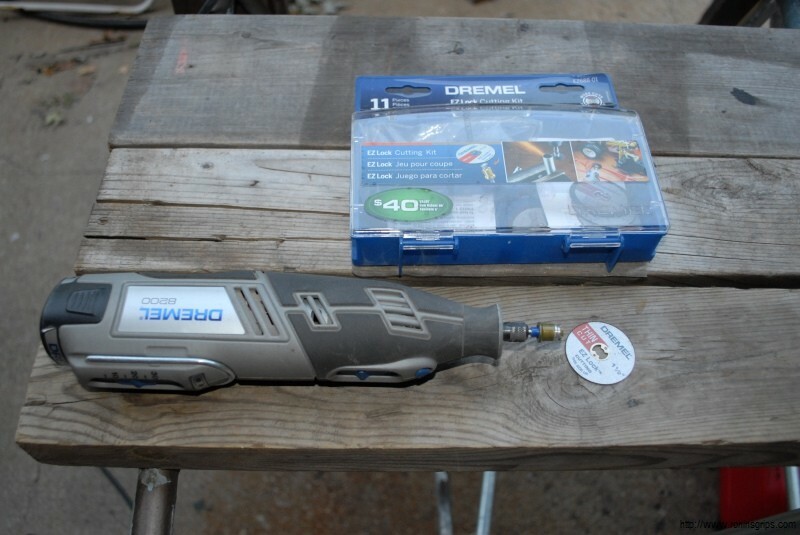 Please, please, please – do not take your Dremel out of the box and try to do this for the very first time. 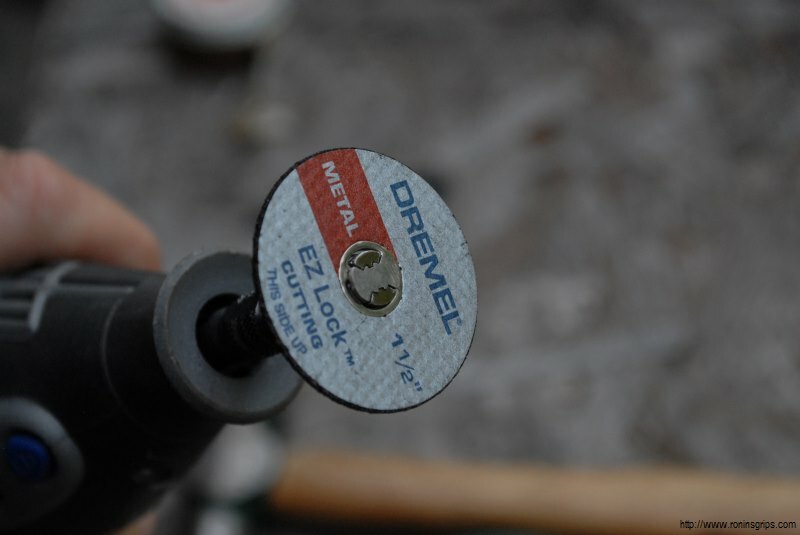 I like the cordless Dremel as I can work anywhere and lately I have become very fond of the EZ Lock bits. Of course you can use whatever tool you are comfortable with but this step by step explanation should make the work required more clear (I hope). 3. 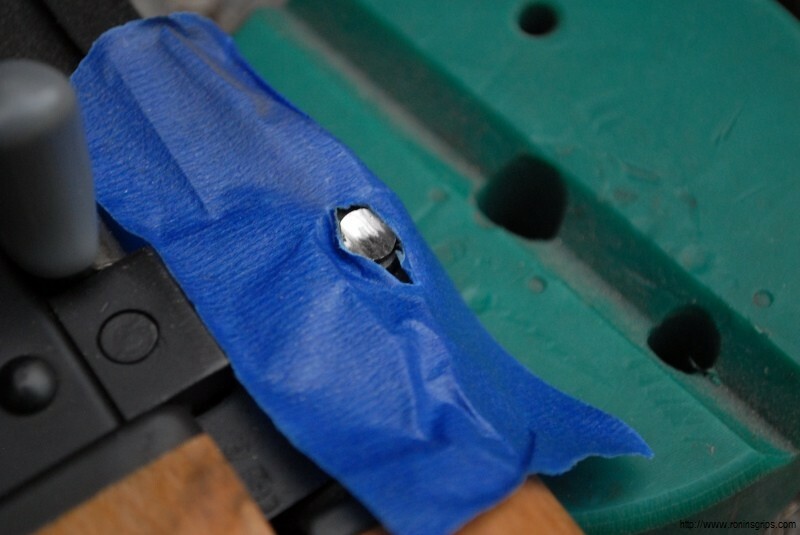 If you are still learning, put a couple of pieces of tape with a slit over the pin’s head that is peened into the washer. With some tape in place, if your hand slips you will be less likely to mar your finish. Folks, the secret tip is to do very light cuts. Let the weight of the tool or even less do the work. Do NOT push down hard or you will snap the bit. I also rest my hands on any surface that I can to have more control. 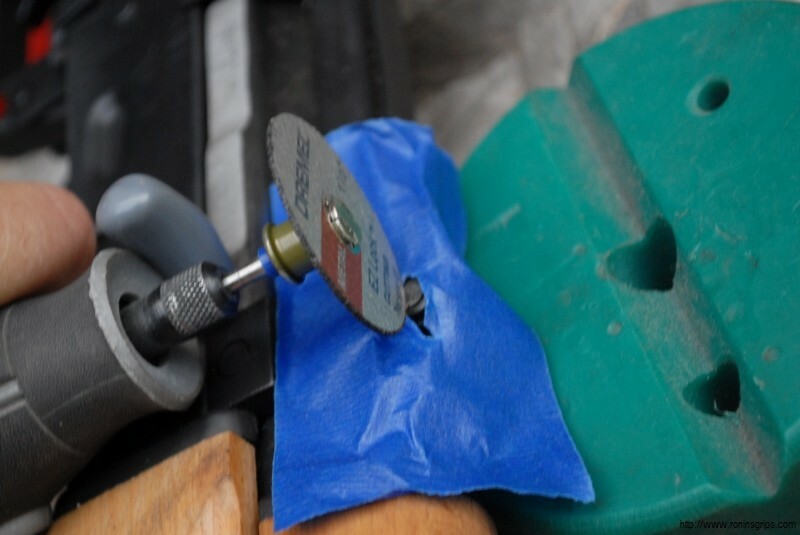 You’ll notice I have a rubber gunsmith block to support the pistol – you could use a piece of pine, a hockey puck, or another non-marring surface. You want the weapon to be stable when you work on it and you will need to lightly tape the hinge pin/rivet free once the head is ground off. I used pieces of wood for years and years before bought the block – the key is to have the support and use something that will not scratch up your finish. 4. You are just removing enough metal get get rid of a small lip on the rivet. The next two photos show you the slightly concave look I put in the rivet and you can barely see the shaft. 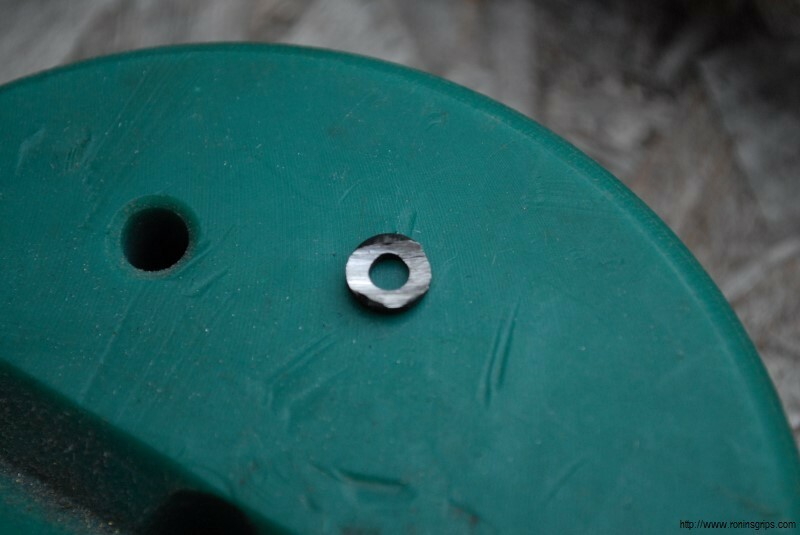 I then used a small pin punch and a tap from a small hammer to get the pin moving. It will take very little force to get it to move. If it doesn’t readily move, then you may need to grind it a bit more. 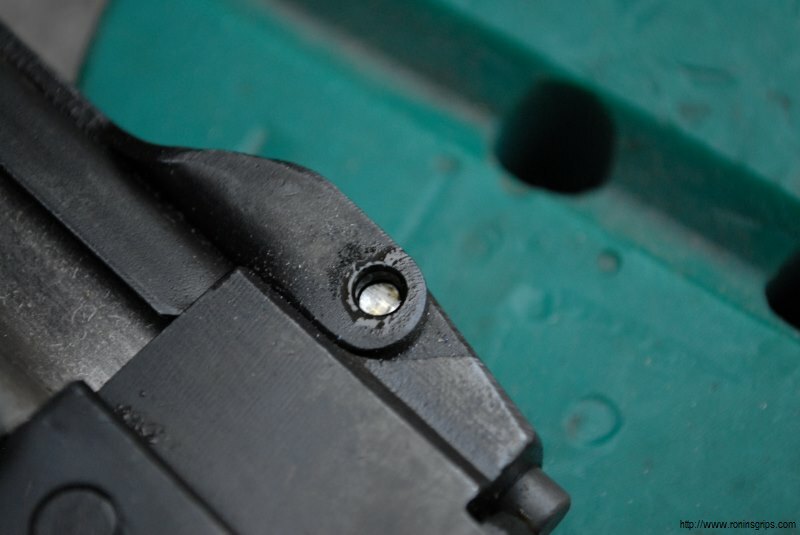 The only thing holding that rivet shaft in place is the peened edge – it is not swollen in the hole. 5. 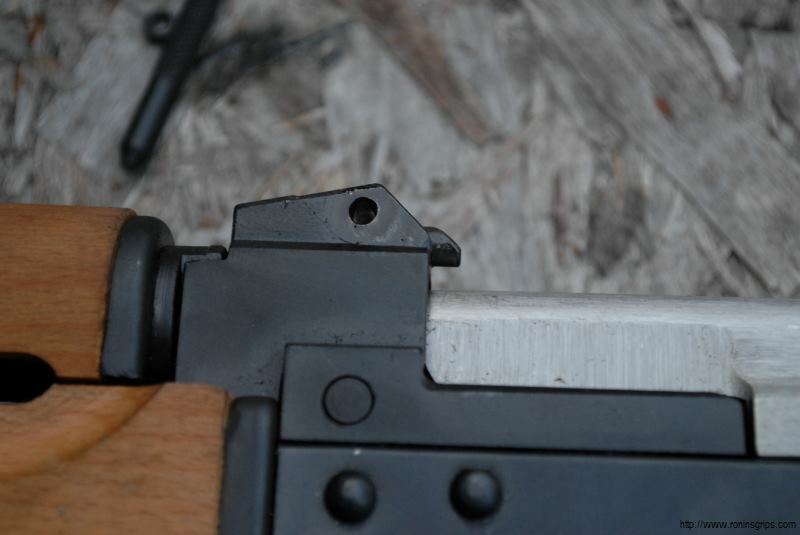 This is a photo of the removed rivet and the hinge rivet/pin starting to slide backwards. I then used a small punch pin to push it out. The fourth photo shows the original pin and washer so you can see the end result. 6. 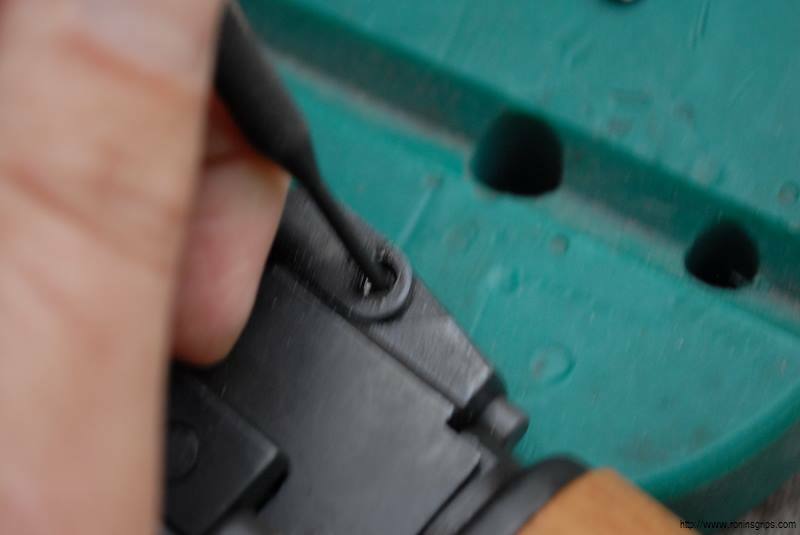 At this point, the dust cover hole is clear but do not try to push the new pin in. The cover cams shut and it will be needlessly difficult to push the pin in. For comparison, our pin is shown next to the original. 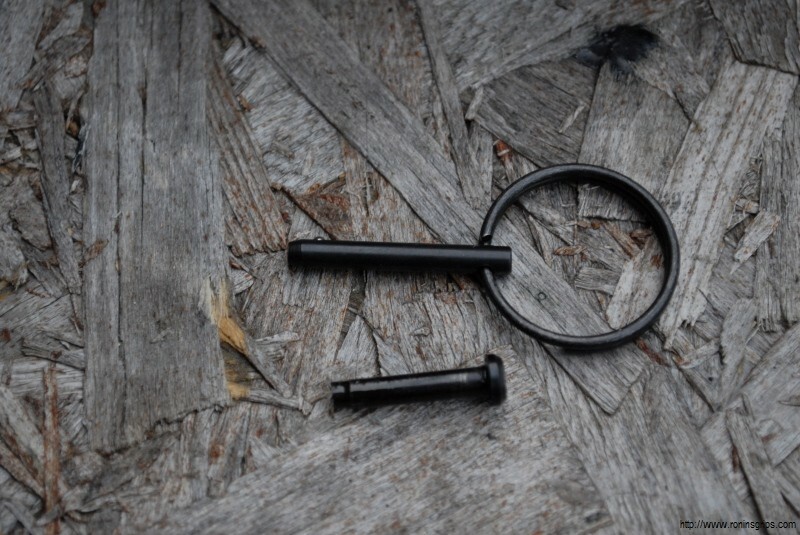 The pin with a groove in it is something you do not want to lose! The angled portion is face up towards the dust cover and the round end goes towards the gas tube. 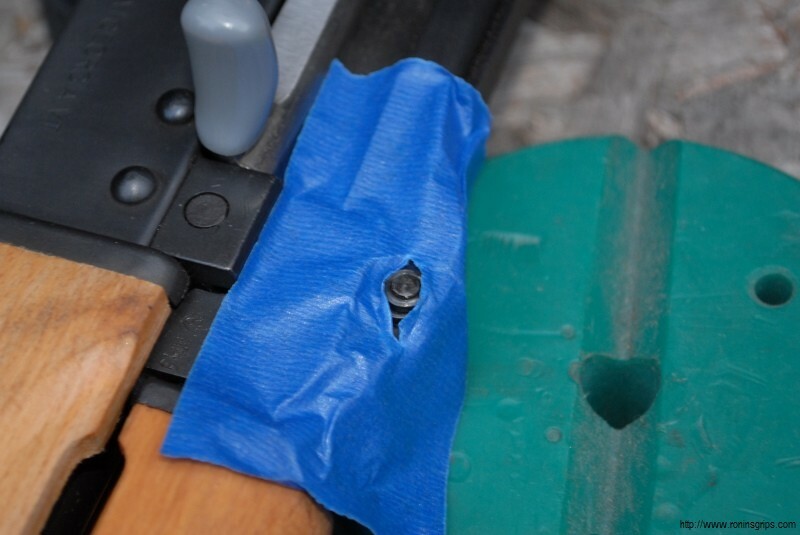 When the dust cover closes, the pin slides forward and holds the gas tube is locked in place. It’s very simple and does the job just fine. 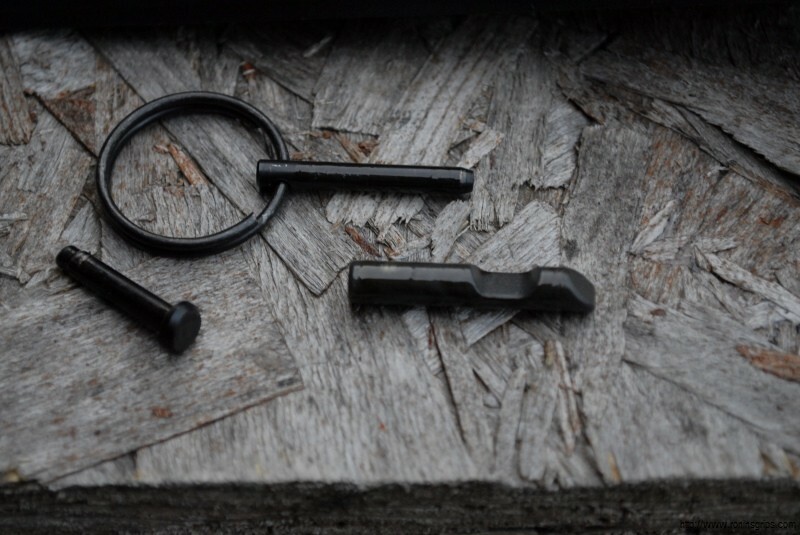 This locking pin is held in the rear block by the dust cover pin so every time you remove the pin, it can come out. Just keep track of it each time you clean your M85 / M92 as you will need it. 7. Now, to install our quick takedown pin, install the dust cover, lift it up and align the holes. At this point, there is no pressure and our pin will slide easily into the hole. 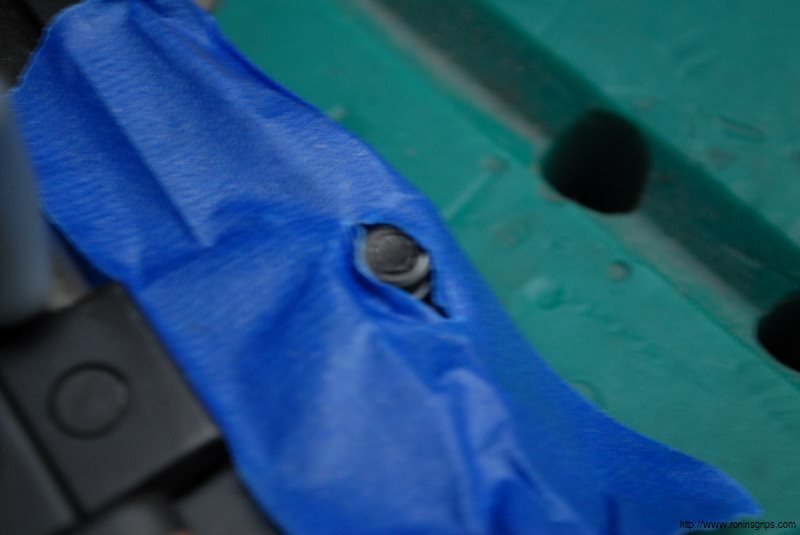 When the dust cover is closed, the resulting pressures lock everything in place. 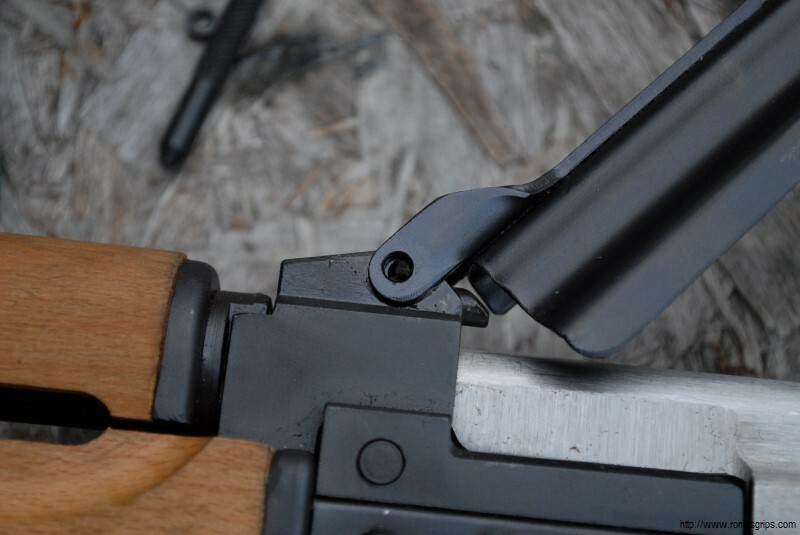 That is why it works so well with hinge mounted picatinny rails. My favorite these days is the hinge mounted frail from CNC Warrior by way and we’ll right up an installation guide for that as well. So that’s it! 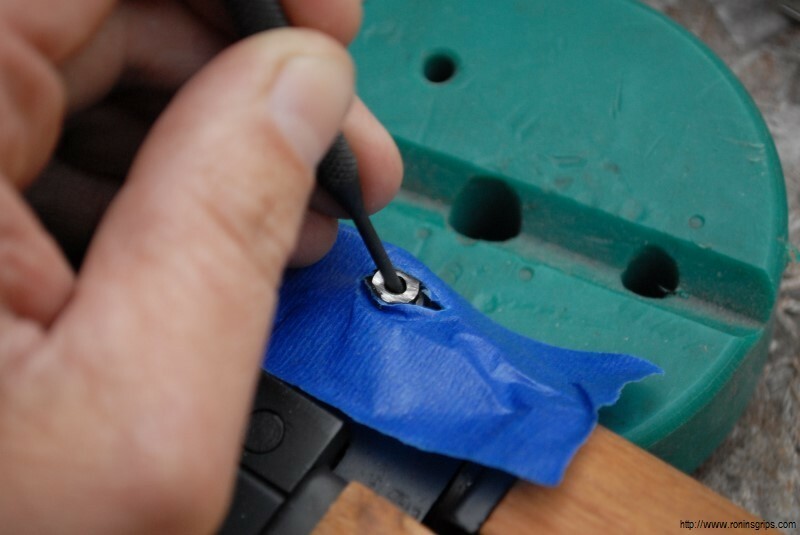 Again, the key is to use light pressure when grinding the peened over portion of the original hinge pin/rivet away. 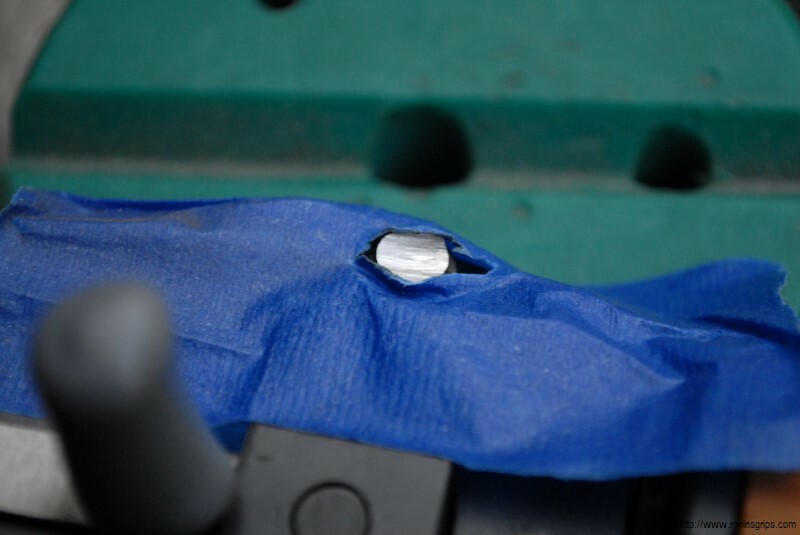 Then, install the new pin with the dust cover open so it can readily slide in. If you are interested in buying a pin, please click on this link to go to our online store. 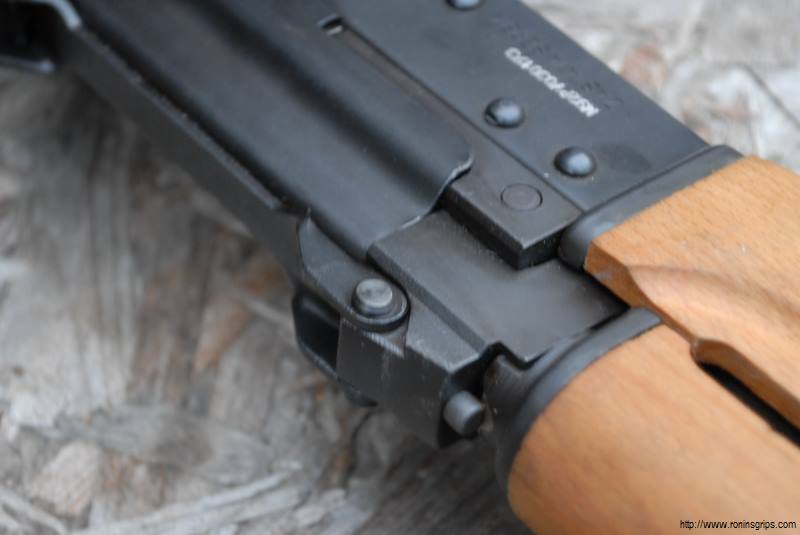 Check out Len's Yugo M85 With Our Quick Takedown Pin!